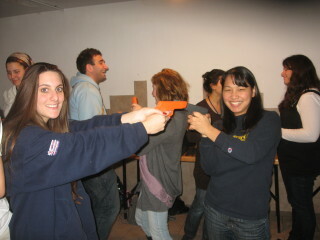 Seminars are offered in Israel year round. We have conducted seminars for Hasbara Fellowships, ZOA, Betar, Birthright, NCSY, Yavne Olami, the Jerusalem Police, Canada Israel Committee, high schools and elementary schools. 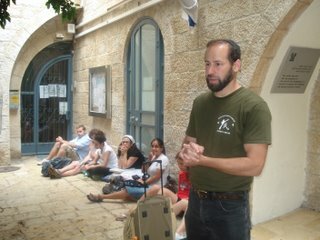 Teaching in the Old City of Jerusalem, explaining the historical background of Krav Maga. Seminars for Women Only are also available. Dana and Hannah face off, Old City, Jerusalem, 2008. 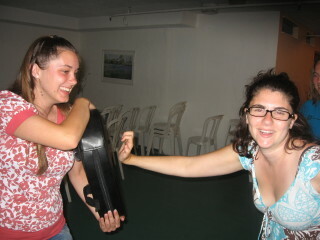 Stephanie disarms opponent. 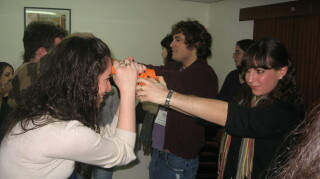 Hasbarah Fellowships, Jerusalem Gate Hotel.